The Calgary Flames acquired forward Hunter Shinkaruk from the Vancouver Canucks for centre Markus Granlund on Monday. Shinkaruk will be assigned to the AHL's Stockton Heat. Shinkaruk, a Calgary native, was selected in the first round, No. 24 overall, by Vancouver in the 2013 NHL draft. The 21-year-old had 21 goals and 18 assists in 45 games with the AHL's Utica Comets and made his NHL debut with Vancouver on Nov. 16, 2015 against Montreal. 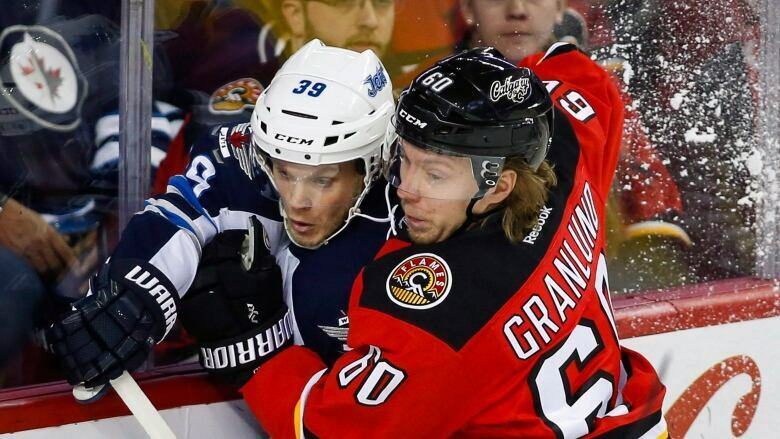 Granlund, 22, had four goals and three assists in 31 games with the Flames this season. He also registered five goals and four assists in 12 games with Stockton.